Preppy Pink Crocodile: Are You Mom Enough? 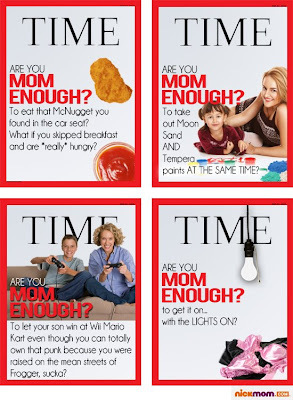 The Mom enough covers are too funny - the Time cover was a little scary though. Ouch - he's got teeth! I am over that cover as well (and this is coming from a Mom of 3). The biggest issue for me is that this kid is going through life with that photo...isn't middle school mean enough already???? That is hilarious. I hadn't seen that yet. I'm over that cover, too. I'm not a mom or a prude, but no thank you.